Bridgewater is a CDD community, located in Wesley Chapel in Pasco County, An hour driving distance to Orlando, have an easy access to down town Tampa and St. Petersburg. Bridgewater community is one of the larger communities of approximately 800 homes in Pasco County. Bridgewater community features curved tree lined streets, pocket parks, a dog parks, a playground and a basketball courts. Homes of the Bridgewater community were built between 2004 and 2006. Most of them are backed up to well-maintained ponds with a spectacular view of pristine lakes, green conservation area. Bridgewater is a deed restricted community offering suburban life style and well maintained by a self managed community association. Residents of Bridgewater community enjoys shopping, dining and other recreational events with Macy’s, Dillard’s, JC Penny and nice selection of 100 retail stores and its signature restaurant. Bridge community offers family friendly atmospheres with single family homes, one or two storied homes. Residents have an easy access to world renowned gulf beaches, prestigious shopping malls, restaurant, recreation centre and entertaining facilities. The information contained herein has been provided by MFRMLS. IDX information is provided exclusively for consumers' personal, non-commercial use, that it may not be used for any purpose other than to identify prospective properties consumers may be interested in purchasing, and that the data is deemed reliable but is not guaranteed accurate by the MLS. 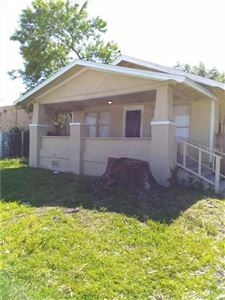 Listings last updated Apr 25, 2019 11:21:am.